A smile is the world’s most powerful gesture. It is a universal way to connect with other people that transcends language barriers and cultural differences. Sadly, the average person smiles only 20 times a day. That’s about half as many times as people who consider themselves to be happy, and it’s a small fraction of the number of times a child smiles each day. We should all find more reasons to smile, but doing so can be difficult if you don’t like the way your teeth look. A smile makeover in Lynnfield might be just what you need to turn that frown upside down! 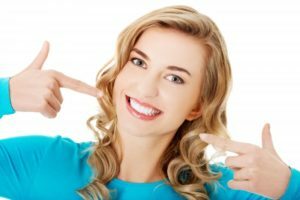 Let’s talk about a few ways that cosmetic dentistry delivers big benefits. Tooth-colored fillings seamlessly blend with the natural color of your teeth. They’re also superior to traditional metal fillings because they contain no mercury and present a lower risk of leaking. Invisalign can straighten put all your pearly whites where they belong, making your mouth easier to clean. It can also spare your teeth from the abnormal wear and tear that misalignment may cause. Teeth whitening. Everyday habits, like drinking coffee and wine, darken teeth over time. A professional whitening service has the power to vanquish even the deepest stains, leaving your smile several shades brighter. Porcelain veneers. Veneers are a fast and permanent fix for a range of cosmetic flaws, including discoloration, cracks, chips, teeth that are too small, and minor misalignment. A beautiful smile does more than show others that you value your oral health. It can have a dramatic impact on your overall appearance, perhaps even making you look younger! One of the ways this is possible is through the power of association. Generally, people associate bright smiles and healthy teeth with youth. Therefore, getting rid of the little (and big) flaws in your teeth may make others think you’re significantly younger than you are. Plus, smiling helps to relieve stress, and we all know that stress is a major ager. Enjoying the benefits of a perfect smile begins with a consultation with your dentist in Lynnfield. We’ll take a look at your teeth, discuss your goals, and design a treatment plan to makeover your pearly whites and make you feel like a million bucks! Dr. Rob Schumacher is your cosmetic dentist in Lynnfield. He finds it highly satisfying to help his patients enjoy healthy, beautiful smiles. If you would like to learn more about services that can transform your teeth, please contact us at 781-334-3400.